Final Fantasy characters sure are stylish. Maybe it's their razor thin body types. Or the hair. But they look like models. And now, they don't only look like them, they are. The latest issue of Japanese men's fashion mag Arena Homme Plus features Final Fantasy XIII-2 characters modeling Prada's summer collection. 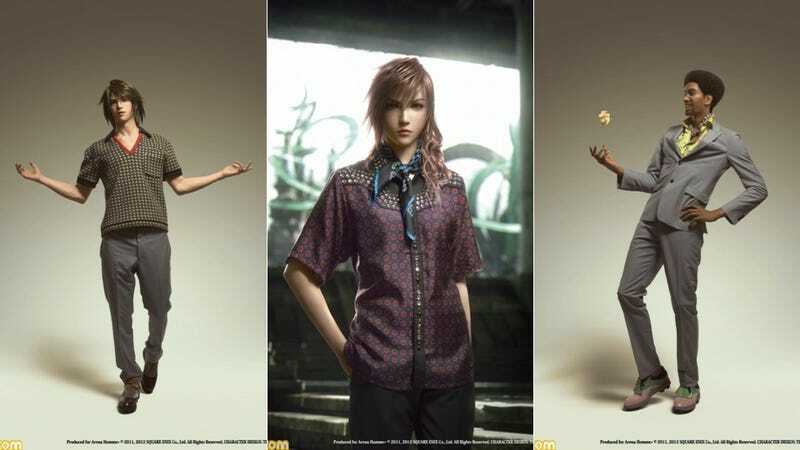 These are clothes for men; however, the spread features Final Fantasy female protagonist, Lightning. But hey! Gender bending isn't a first for Final Fantasy or Japanese fashion, for that matter.